If you need some focus in your midweek, you’ll be delighted to know that there are plenty of NBA games on offer this Wednesday night. 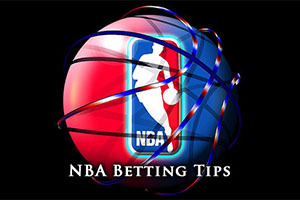 There were a handful of games on Tuesday so there is enough to look back on, but when it comes to NBA basketball betting, you’ll get your fill on Wednesday. The 76ers were dominant against Denver, defeating the Nuggets by a score of 105-98 in Philadelphia. The Pistons were equally dominant, defeating the Heat by a score of 108-91 in Detroit. The Kings were not as strong at home; they were dismantled 96-121 by a strong Warriors side. There was an away day win for the Celtics, with the team from Boston triumphing 97-08 in New York against the Knicks. The closest game of the evening came in Portland and it was the home team that edged the game. The Trail Blazers defeated the Jazz by a score of 103-102, sending the team from Utah on their way nursing a sore defeat. The Nets hold a 19-28 record coming into this game and this contains a 10-13 record on the road. They may have won their last game but with a 3-7 record in their last 10 games, things aren’t too bright for the Nets. The Raptors lost their last game but on the whole, things are going well for the Canadian side. They hold a 33-16 record and they have an 18-8 home record to defend going into this game. Over their last 10 games, the Raptors hold a 7-3 record. With respect to average points, it is no surprise that the Raptors are way ahead, having picked up 106.1 points to 95.8 points for the Nets. The Nets do lead on average points allowed, giving away 99.6 compared to the 101.0 given away by the Raptors. Both teams were involved on Monday night, and there were contrasting fortunes for the sides. The Nets grabbed a close 102-100 win over the Clippers, a game that was clinched with less than 2 seconds on the clock. The Raptors meanwhile lost 75-82 at home to the Bucks, which was slightly surprising. Deron Williams is a doubt for the Nets while Joe Johnson is being closely monitored. James Johnson is a doubt for the Raptors and the Toronto side will be keeping a close eye on Jonas Valanciunas. The Raptors should have more than enough to see it home, and taking them with a -8 handicap, at odds of 1.90, is likely to spice up your midweek. Bet Now! For the first time in a long time, the Hawks are trying to bounce back after a defeat. Yes, the streak is gone; leaving the Atlanta side with 40-9 record, and this includes a 23-2 record going into this match. The 9-1 record of their last 10 games doesn’t tell the story of their 19 game winning run but now the pressure is on to go on another winning run and prove that they are the dominant force this season. It’s not been a bad campaign for the Washington Wizards either; their 31-18 record stands up well against most teams. The Wizards head to Atlanta with a 13-10 record on the road but their current form is a cause for concern as well. Having lost three games in a row, and sitting on a 4-6 record in their last 10 games, the Wizards will be desperate to turn things around as soon as possible. The Hawks lead on average points and average points allowed, which isn’t a surprise. The Atlanta side have scored an average of 103.3 points in their games while the Wizards have bagged an average of 99.9 points. As for allowing points, the Hawks have given up 96.5 points while the Wizards have allowed an average of 98.0 points. The Pelicans were the team to stop the Hawks in their tracks, winning 115-110 in New Orleans. On the same night, the Wizards were going down 88-92 to the Hornets. Both teams have a number of injuries to contend with but the Wizards don’t have anything too serious. Nene Hilario, John Wall, DeJuan Blair and Kevin Seraphin are all being closely monitored. For the Hawks, Shelvin Mack and DeMarre Carroll are major doubts while Thabo Sefolosha is being closely watched. You expect the Hawks to bounce back in this game and taking them with a -5.5 handicap, at odds of 1.90, isn’t a bad bet for Wednesday. Bet Now! With a 30-19 record coming into this game, the Bulls are doing okay this season, and their 17-8 road record will give them a bit of confidence for this match. They are facing a Rockets side who are also doing well this season, holding a 33-15 record, which includes a 16-7 record at home. Neither side is truly flying high at the moment though, the Bulls holding a 4-6 record in their last ten games and have lost their last two while the Rockets have a 6-4 record in 10, having lost their most recent game. There is not much to choose between the two teams with respect to average points scored and allowed. For points scored, the Rockets have the edge, 102.7 to 102.1 and for average points allowed, it is dead-even, both teams giving up an average of 99.90. There may not be too much between these two sides when they clash in Houston. The Bulls lost 99-93 in Phoenix on Friday night while the Rockets lost 114-101 in Detroit on Saturday, so both teams will be desperate to get back into action on Wednesday. Mike Dunleavy is a doubt for the Bulls while Houston have big concerns over Dwight Howard and smaller doubts over James Harden and Terrence Jones. 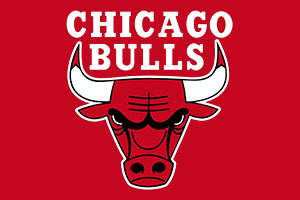 In a game that could go either way, there is value to be found in taking the Bulls at +3 with odds of 1.90. Bet Now!